Designed as a machine artificial emotional intelligence, the HAL 9000 SAL 9000 and require human interaction to improve performance. Represented by a camera eye blue and female voice, SAL 9000 served as a guide to monitor possible reactions from the previously disabled HAL 9000. Both machines include a keyboard and audio input to communicate with intelligent life carbon-based (read: us). The HAL 9000 is adept at facial, vocal, and the recognition of the vital signs and makes decisions based on a full understanding of logic. HAL has many responsibilities while acting as the brain and central nervous system Discovery 1. 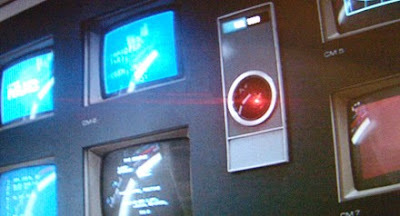 Although HAL appears to be programmed to protect the crew, there are obvious shortcomings and inherent in its programming logic, which – spoiler alert – to commit homicide to solve orders. More after the jump.